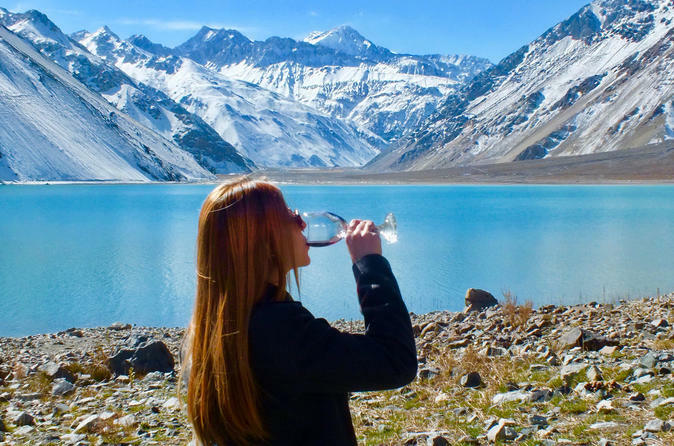 Discover Cajón del Maipo — an oasis just outside of Santiago — and connect with nature, a sense of tranquility and fresh mountain air. On this day trip led by an expert guide, capture breathtaking sights, including a canyon, river valleys and a shimmering lake reservoir, as you drive up into the Andes mountains. 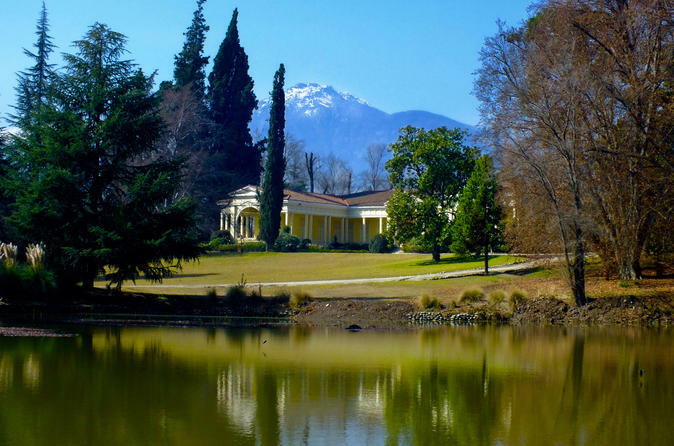 Tour the historical town of San José de Maipo, and learn about the area’s history and folklore. Browse through artisan markets, and sip on locally produced hot chocolate, coffee or beer. Numbers limited to eight ensuring a small-group experience. Explore the central coast of Chile on this 10-hour guided tour from Santiago. Admire the colorful hills of the historic port city of Valparaíso, stroll along the beach at Viña del Mar, and savor the taste of Chilean wine in the Casablanca Valley. In a small group of no more than 10 people, you will also get the chance to ride a vintage funicular, check out street art, and possibly see sea lions. Connect with nature in an environment of peace and fresh mountain air with the best views of the Andes. 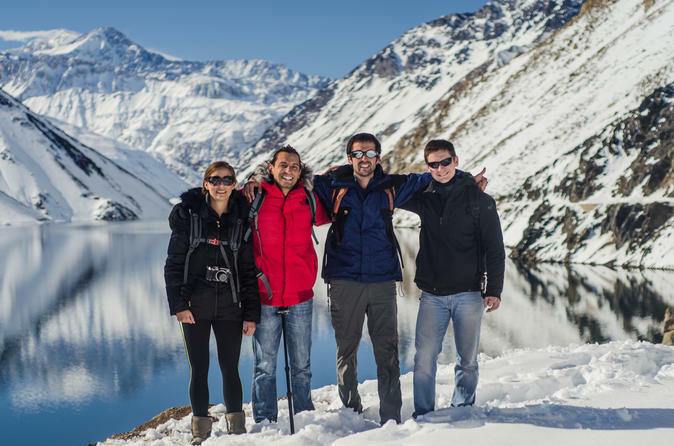 Discover the Embalse El Yeso and let yourself be surprised by the landscape, through the whole experience in the company of our guides. 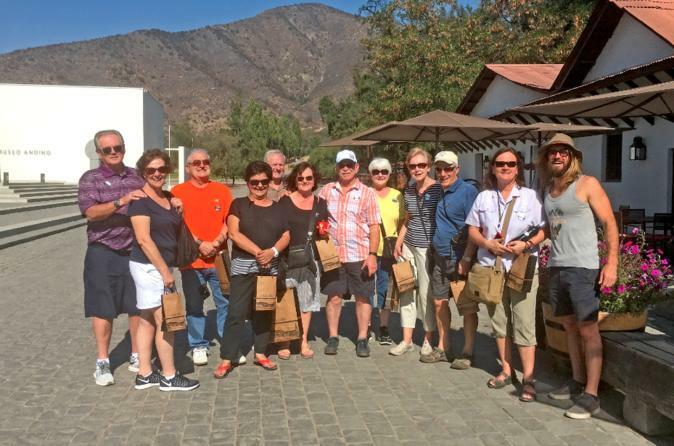 The tour includes stops in historical landmarks and in the small town of San Jose de Maipo. Take the magic of the mountains with you. 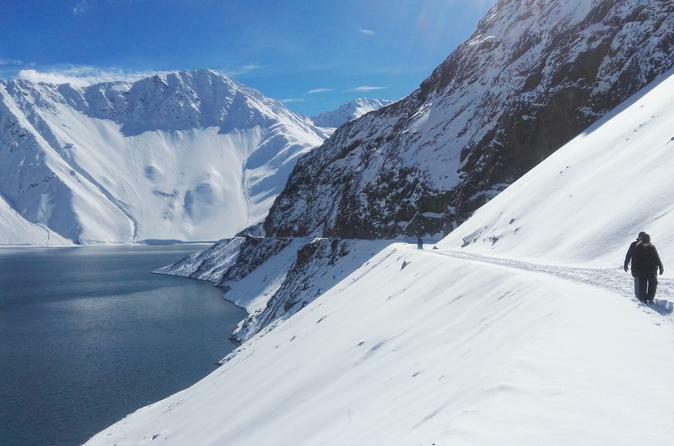 This 8-hour tour takes you into Cajón Del Maipo;the perfect place to escape from the city and be in the middle of the Andes mountains. In a small group of no more than 13 people, enjoy the natural surroundings, and beautiful panoramas, before indulging in a snack and glass of red wine. Nature lovers have plenty of time to take in the sights. A hike with views of snow-drizzled peaks, followed by soaks in thermal pools — can you picture a more perfect day? On this small-group tour led by an expert guide, drive through breathtaking El Cajón de Maipo, a canyon slicing through the Andes mountains. 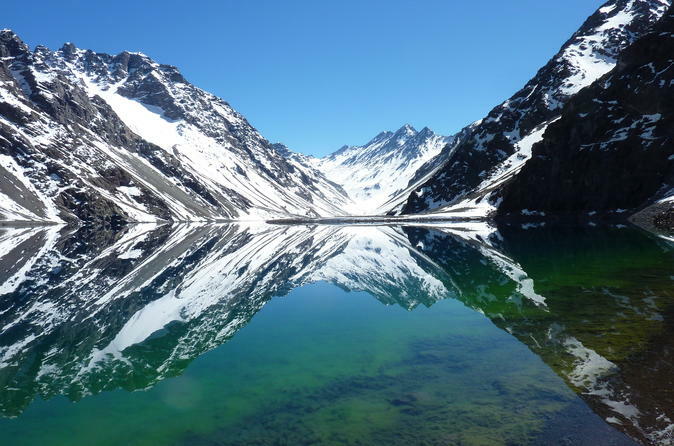 Then undertake a 5-hour moderate-level hike through El Morado Natural Monument to enjoy a glacier-side lunch, or trek through Valle de las Arenas and gaze in awe at El Morado's summit and lagoon while you eat. Unwind at the hot springs of Baños Colinas. Round-trip hotel transport from Santiago is included. This guided tour will allow you to get to know the Chilean wines that are renowned around the world. Casablanca Valley is famous for its agricultural perfection, is located between Santiago and Valparaiso, a 1-hour ride from Santiago. The valley is responsible for delivering some of Chile's best olive oil and Chilean wines to the outside world. Enjoy 2 wine tours with a certified sommelier in the oldest wine region in Chile, the valley of Maipo. Learn about the wine making process, and taste various wines. Enjoy a lunch that is included as well. Experience Santiago's vibrant street food scene, including the popular and well-known Mercado Central (Central Market), on this food-filled walking tour! Discover the city’s everyday customs through the meals, recipes and products that make Chile a worthwhile foodie destination. You’ll receive four to five tastings of Chilean specialties such as a meat casserole and a cool peach drink, plus enjoy a glass of wine. 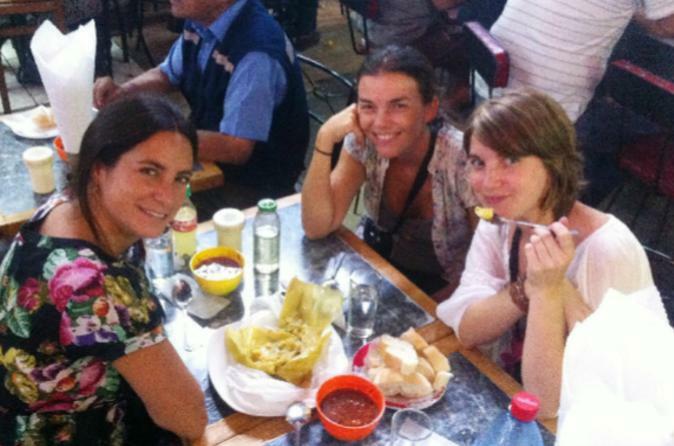 More than just a culinary tour, this is an excellent way to experience the local culture of Santiago. It’s a must-do! Tour is limited to 12 people, ensuring a small-group atmosphere with a knowledgeable guide. 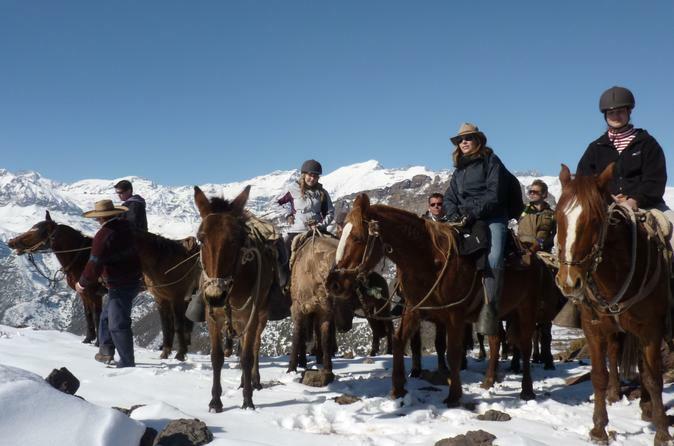 Go off the beaten track on a horseback-riding tour through the mountains of the Santiago area. With an expert guide, you’ll follow local ‘arrieros’ (cowboys) across streams and along scenic terrain. Beginners rest assured: these small but sturdy Criollo horses -- known for their stamina -- will put anyone at ease. Don your chaps and cap for a rugged ride! 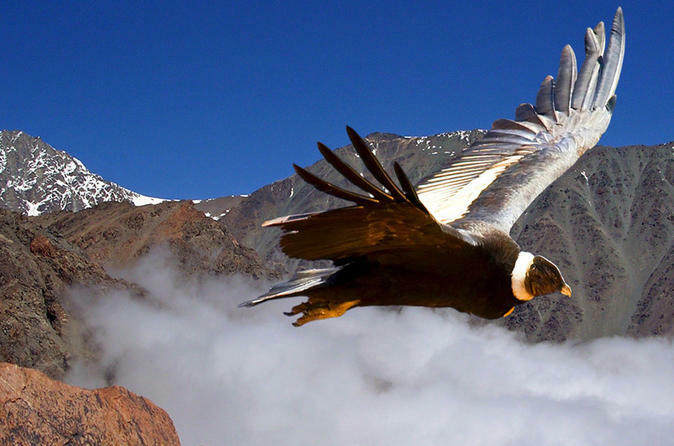 This is the perfect trip if you want to see the Andes without too much physical effort. It is a half day trip, mostly a road trip with a couple of short walking to great lookouts. On this tour you will learn how is the daily life of the vibrant capital of Chile, with all the attractions that no one should miss even those most typical corner of Santiago's life, we want you to know from the hand of our guides, so than you can keep with you the best experience of the culture and heritage of this city. 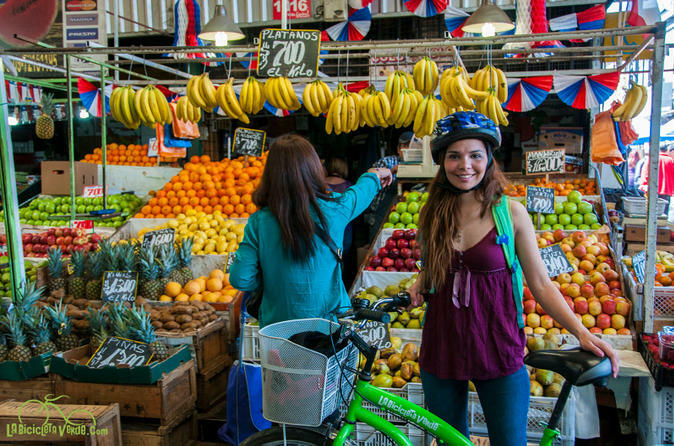 This bike tour will show you the best of the markets in Santiago. It is the perfect tour to see where idiosyncrasy meets the hustle and bustle of local daily life. You will pass by vegetable, fruit and seafood markets and also see graffiti murals. Moreover, Chile’s rich cultural and religious history are the focus of this energizing tour as you will learn about Chile through the eyes and ears of a local. 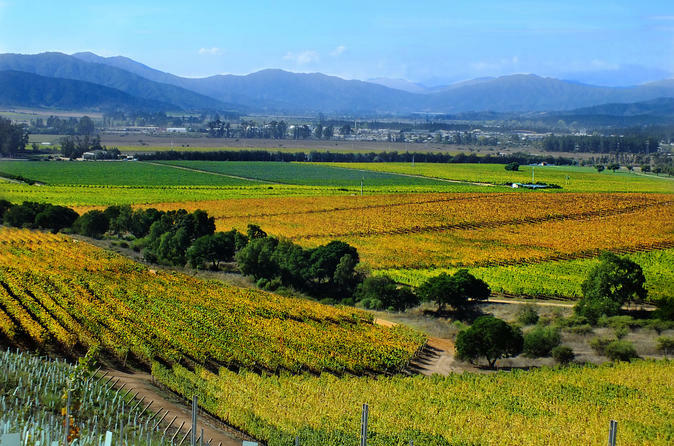 Only 120 km northwest of Santiago, visit beautiful Casablanca valley to have the chance to enjoy of an optional tasting. Then enjoy lunch in Viña del Mar right on the coast of the Pacific Ocean. 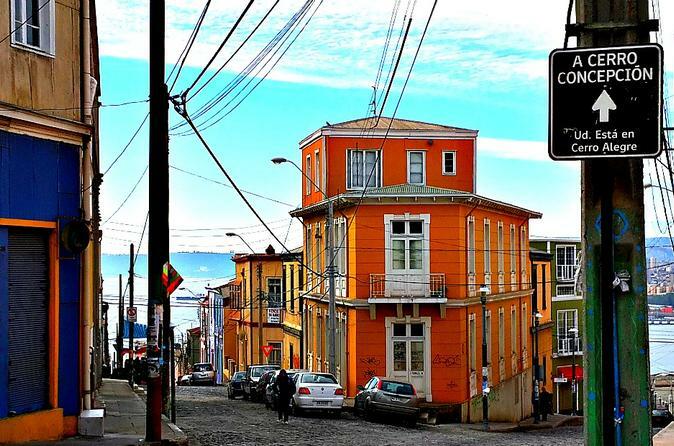 Continue your day at Valparaiso where you will be amazed by its colorfull houses and unic life style. Also considered in a time as The Jewel of the Pacific. 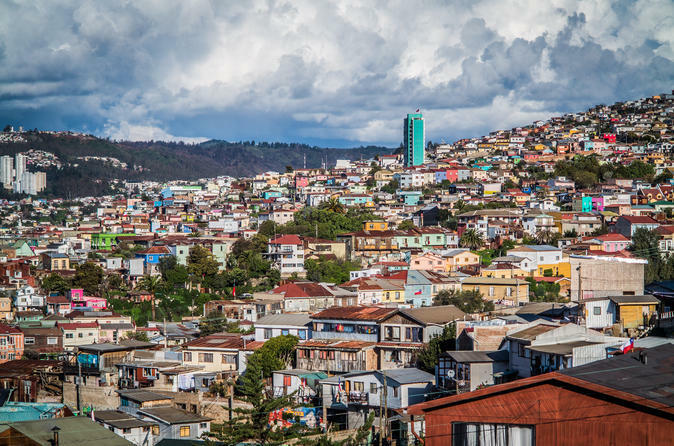 Join this full-day wine tour, where you will get to know the city of Valparaiso and the Casablanca Vineyard. First, spend time in the vineyard, where you will take a walking tour of the Emiliana vineyard. Learn of how the organic grapes are harvested after tasting 4 selections of wine. 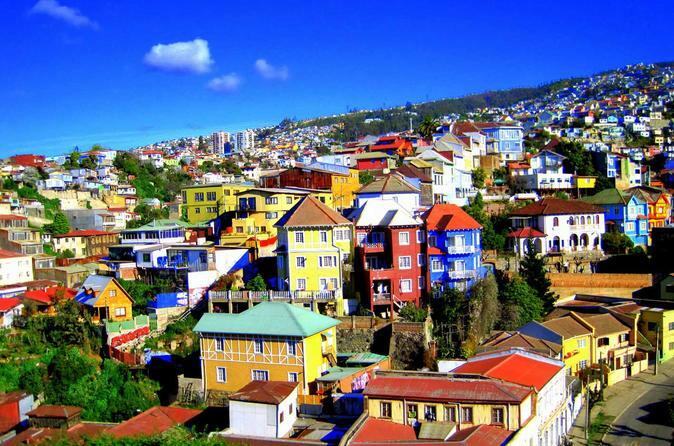 Then, move on to Valparaiso, where your guide will lead you and your small-group of no more than 7 on a city tour. Undoubtedly, Concha y Toro has gained worldwide recognition, and it is not in vain. It has aimed to be at the forefront of wine production. In this 4-hour tour, discover all the secrets of this centenary vineyard in the same facilities where it all began. 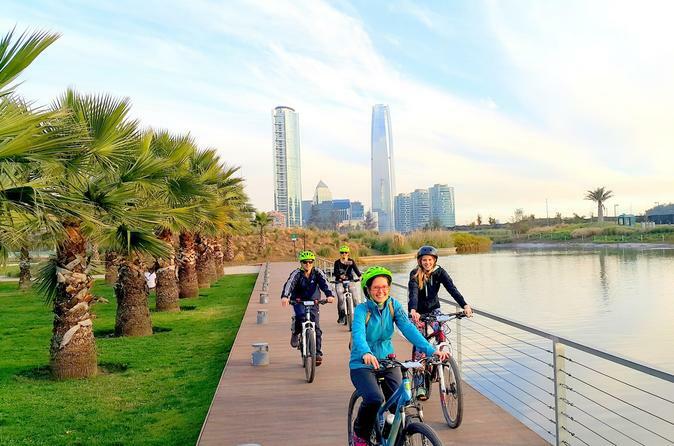 Explore Santiago's main parks and landmarks by mountain bike on this 3-hour tour. 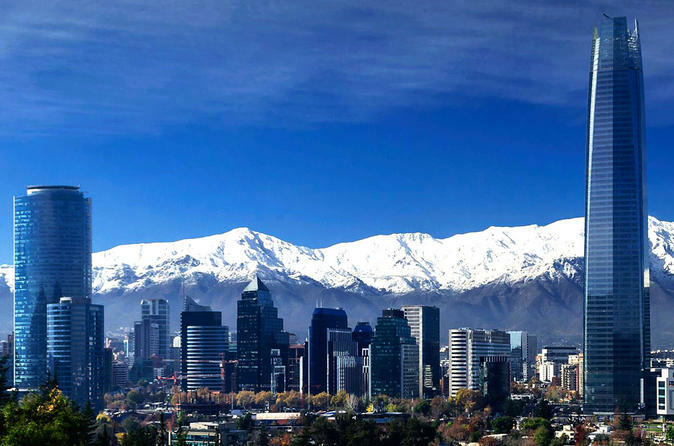 In a small group of no more than seven, pedal through the cycle paths and park paths of Vitacura, Providencia, and Santiago Centro while enjoying the panoramic views offered by the Metropolitan Park, the biggest green area of the city. 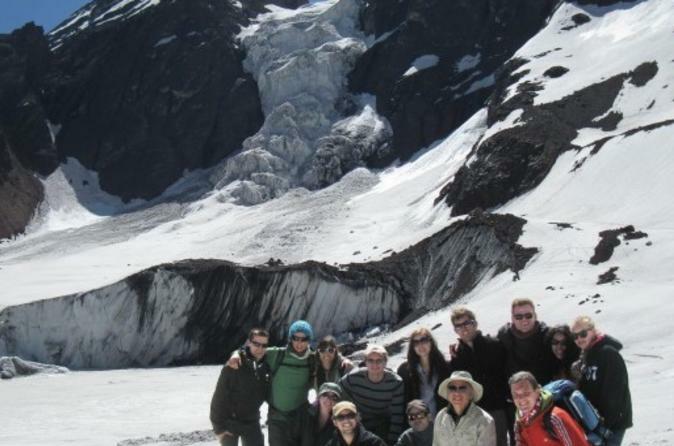 Enjoy a glacier hike at El Morado Natural Monument National Park. This tour is recommended for adventurous people. Get spectacular views and scenery as you explore this place and the San Francisco Glacier on a 9-mile hike (16 km). Your tour includes professional guide, lunch and transport. DIFFICULTY: Medium. The first hour of the hike is steep and then it becomes flat. Altitude increase of 600 meters. Tour subject to change due to weather conditions (rain or snow). 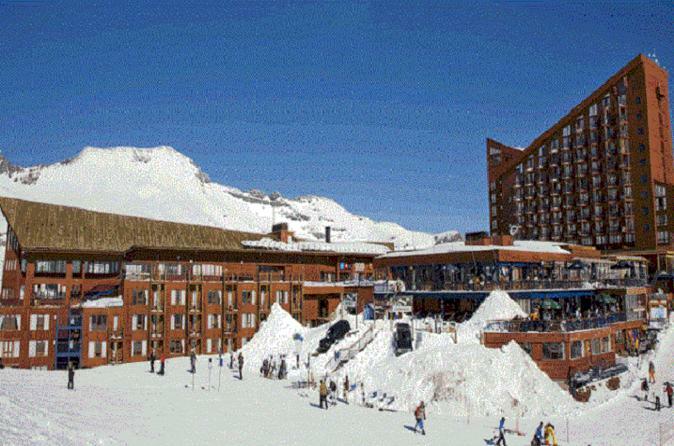 Enjoy a day trip to Valle Nevado in the Andes Mountain Range (Cordillera de las Andes). This place is located 30 miles (60 km) from Santiago, on a sinuous road, with about 40 curves. You will first arrive to Farellones, which is one of the ski centers of the central zone and the trip will last about 2 hours. Then, you will have the chance to admire summits (2,700 meters in altitude) covered by snow. Your tour includes a professional guide and transportation. 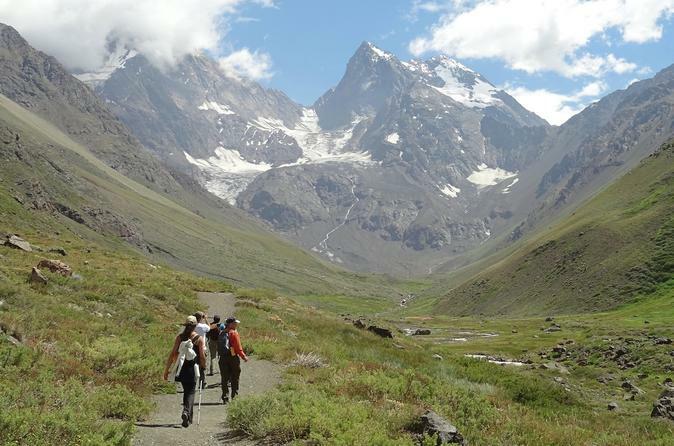 This tour will take you to the highest of the Andes by the international road to Argentina. The route gives a postcard view of the most imposing and beautiful mountains, including one of the most beautiful lagoons in the Andes mountains. The lagoon has an intense emerald green color and transparency that reflects the vastness of the surrounding mountains. It tells the sad story of a beautiful Inca princess who, when she died, her husband deposited the body of his beloved in the bed of the lagoon, turning the color of the waters to emerald green, like the eyes of the princess.